These look so quaint now, but they work the same as the ones when I was a kid. This was made about 1900. This one has two drawers. Mechanical, not electronic. Push a button with the price and a metal tab comes up. Tabs with prices: 65 cents, 85 cents. Looking at these now, I realize the cash registers I remember from the 1960s and 1970s were low-tech compared to today. They were like the one above but they could print a receipt. But they were plain, not with decorated brass sides, back and top. No marble. 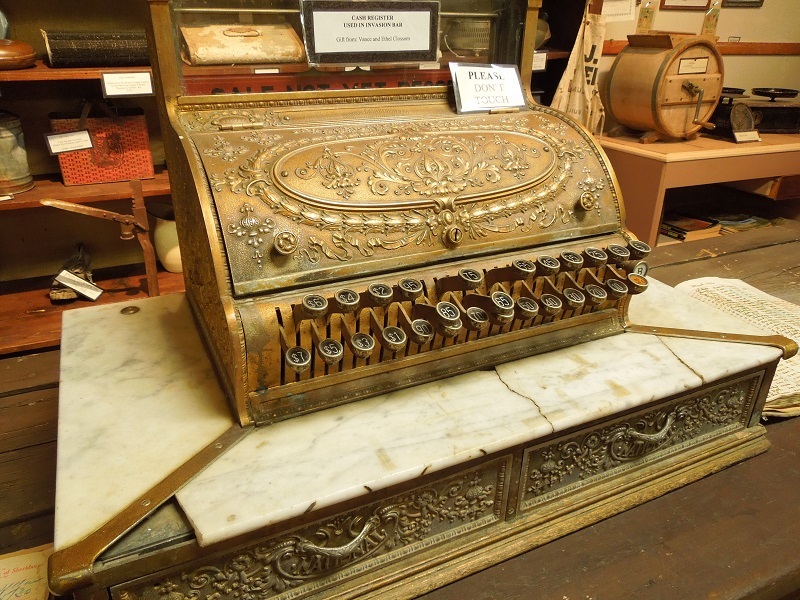 The cash register was first invented in the early 1880s to keep employees from stealing. It kept track of the money. That’s also why there was the ding of a bell when the drawer rolled open, so the manager or owner would know the cash was exposed to the cashier or customer. I remember the No Sale key and tab. When someone came in to the store and asked for change without buying anything, the cashier obliged by pressing No Sale, which made the cash drawer pop out. This register has a wide, red tab that says Sale Not Yet Recorded. 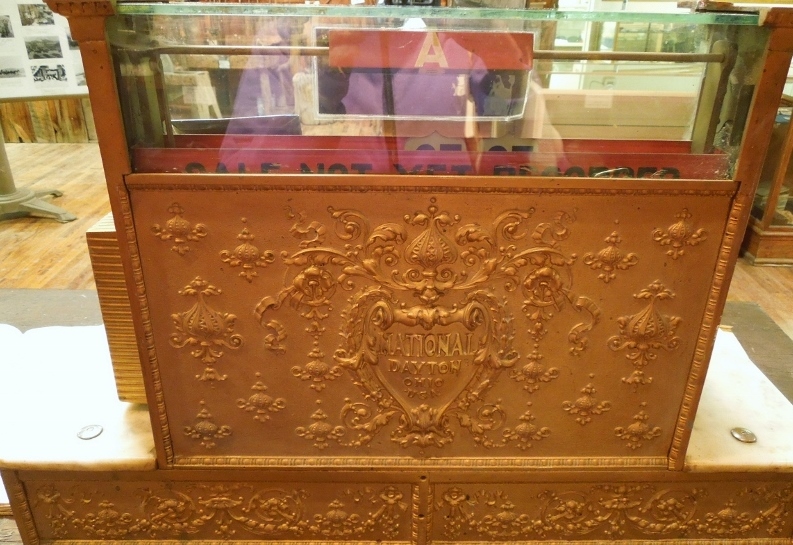 I took these photos at Hoofprints of the Past Museum in Kaycee, Wyoming. Talk about the real West. It sounds like you’ve had some fun on the road. Thanks for sharing this.